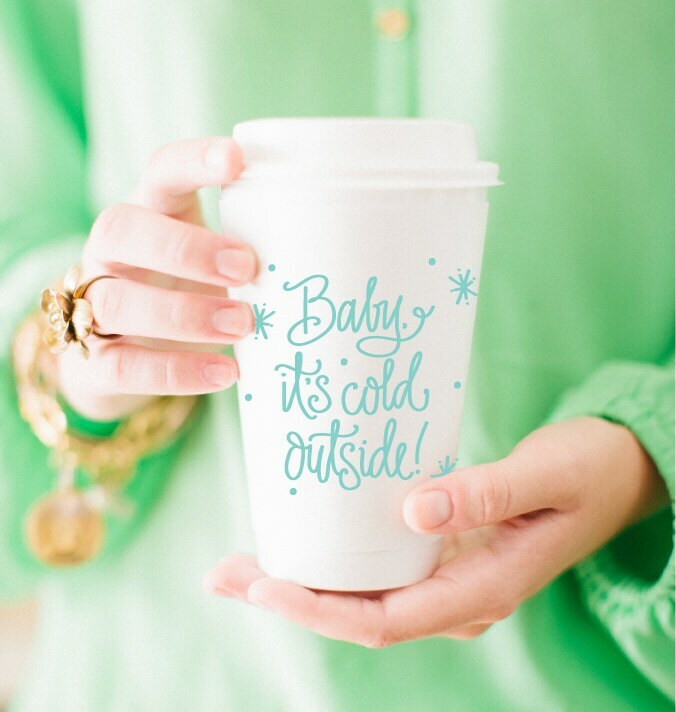 Take your favorite coffee (or tea, or hot cocoa, or hot apple cider …) to-go in our paper cups! Really cute for your coffee bar - or to give as a gift! Cups have a built-in insulated sleeve (to keep your beverage warm, and your hands cool!) - and plastic snap-on lids! Gift idea: Cups can double as a gift - put a little treat inside, then add the lid and a big bow! - Sweets - homemade or from a cute local shoppe! "Baby It's Cold Outside!" 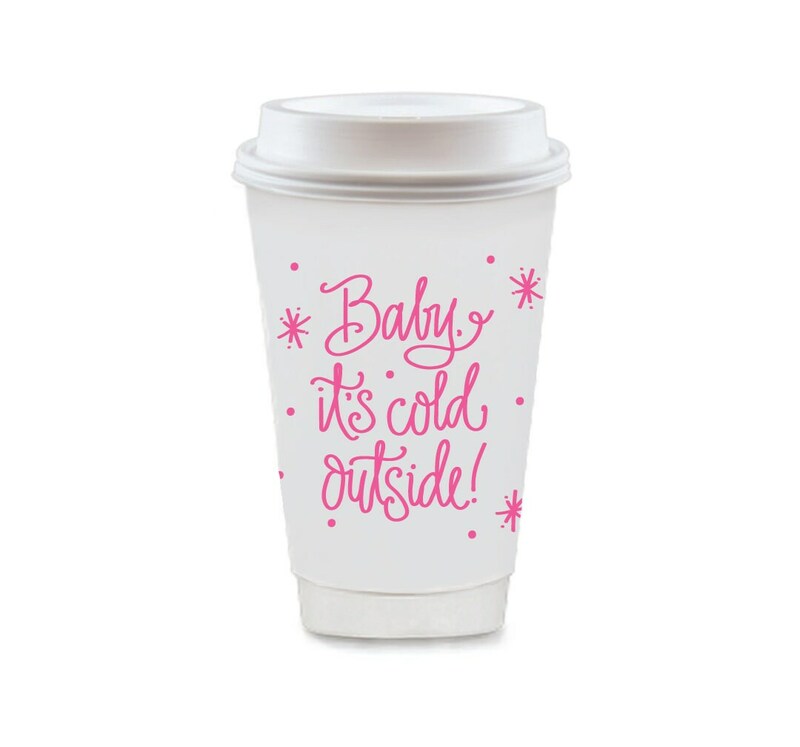 Handlettered by Natalie Chang with polka dots and snowflakes, then printed in Hot Pink Ink on the insulated paper cups. Packaging - Wrapped in a cute clear plastic bag with big ribbons ready to gift! We keep these in-stock and ready to ship!